713 Locksmith Houston is a local company that provides complete locksmith service to Houston, TX and surrounding areas. The backbone of our company are the people we employ. Our mobile technicians are available anytime they are needed, providing 24x7 locksmith service. After calling for assistance or setting up an appointment, our expert technicians can typically get to your location with a speedy response time. Furthermore, every technician in our company has 5+ years’ experience in the locksmith industry. We give fast and friendly service with up front pricing so there is no guesswork when it comes to cost. We believe in treating the customer fairly regardless of whether they are experiencing a lockout, need lock installation, or other help, including the creation of laser cut keys. Laser cut keys are, as the name suggests, created by a laser. They differ from mechanically made keys in that they are very hard to duplicate as the machinery needed to create them is expensive. Laser cut keys have another safety feature. They include a transponder that does not work if the right transponder chip is not near the vehicle ignition when the key is used, thus preventing unauthorized use of the vehicle by use of a duplicate key. Duplicating a transponder chip is not an easy task, as a transponder is unique to the car it is to be used with. Laser cut keys also have a notch down the middle of the key. Thus, such keys may also go by the name internal cut keys. They may also be called sidewinder keys due to the jagged edges on either side of the key, making it possible to open a lock by inserting it from either side into the car door lock. Initially, laser cut keys were typically found on high end cars like those made by German car manufacturers Mercedes or BMW. But more recently, such keys are being used more commonly, making it easier to find locksmiths who can make replacements or duplicate laser cut keys. No longer are these keys only available at the top-end car dealership. This means that these keys have been made more affordable as well. Our company is family-owned and locally operated allowing us to provide convenient and fast service to our customers. 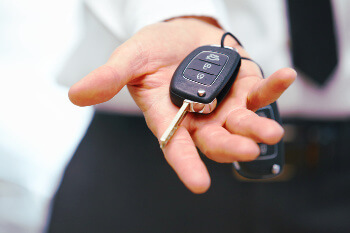 Regardless of whether you are a business with a small fleet or a large fleet of vehicles, we are able to make replacement and duplicate keys for all your lock needs. We are also available for general locksmith services like lockouts and lock repair. An automotive locksmith from our company is only a call away. 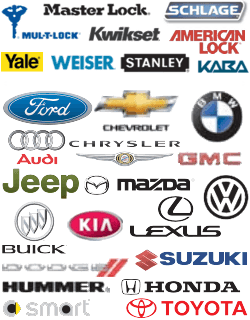 We service both foreign and domestic cars with the same level of expertise and efficiency. Our company is licensed, bonded, and insured so you know that you are getting service from a responsible business that also provides 24x7 locksmith service. Our upfront pricing is competitive. In fact, we are the #1 recommended locksmith in Houston, TX and surrounding areas, a position of which we are proud and seek to maintain with each service call we make. The complete locksmith service that you receive with us is second to none. Our mobile locksmiths are able to deal with your automotive lock problems no matter how large or small, from car key replacement to lock replacement. This laser key cutting service is an added convenience to our customers as it used to be very expensive to replace these specialized keys but the equipment we have invested in has allowed the creation of these keys to be faster and more affordable than ever before. 713 Locksmith Houston is Your Laser Car Key Pro! Laser Cut Keys for Cars http://713locksmith.com/laser-cut-keys/ 3.5/5 based upon 24 reviews.